A short-term mindset and entrenched cultural habits are the biggest barriers to collaboration between HR and finance teams according to a new study from Oracle. The study of 1,510 HR, finance and business professionals found that in order to successfully unlock the value from data and help their organizations adapt to the changing nature of the global talent market, HR teams need to rethink analytics technology, skills and processes to improve collaboration with finance and drive a competitive advantage. To act on data in a meaningful way, HR and finance teams will need to acquire new skills. The survey found that 49 percent cannot currently use analytics to forecast outcomes and 81 percent are unable to determine future actions based on predictive data. While data and analytics have proliferated HR and finance, the benefits are limited without effective collaboration and the ability to derive value. In order to reap the rewards, both departments must overcome short-termism, break through culture clashes and shrink the skillset gap. 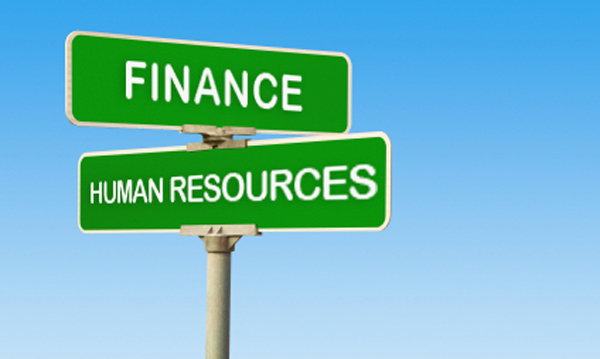 The biggest barrier to collaboration between HR and finance is a short-term mindset, with 71 percent saying their teams focus on quarters rather than future strategic direction. Culture clashes between departments was another top challenge with nearly a third (29 percent) ranking traditionally separate habits as the biggest barrier. Other barriers included mismatched skillsets (27 percentage) and organizational silos (17 percentage). HR teams also lack the skills to act on data and solve issues (70 percent), cultivate quantitative analysis and reasoning (67 percent) and use analytics to forecast workforce needs (55 percent). 88 percent of respondents believe HR and finance collaboration will improve business performance; 76 percent believe it will enhance organization agility. Over half (57 percent) of organizations plan to achieve more holistic, enterprise-wide insight through collaboration and 52 percent of HR and finance professionals believe it will help them become more strategic partners. While a quarter (25 percent) of survey respondents are primarily using AI to identify at-risk talent and model their talent pipeline (22 percent), they are rarely using AI to forecast performance (18 percent) or find top talent (15 percent). Over the next year, 71 percent of survey respondents plan to use AI to predict high performing candidates in recruitment and source best-fit candidates with resume analysis (70 percent). Other AI priorities for survey respondents include modeling their talent pipeline (58 percent), flagging at-risk employees through attrition modeling (52 percent) and supporting employee interactions with chatbots (38 percent). This survey interviewed 1,510 HR, finance and business professionals in late 2018. The respondents came from a variety of industries and geographies, and all were from companies with US$100 million of revenues or larger.